Cyprus (MNN) – This week SAT-7, a satellite TV ministry to the Middle East and North Africa, is holding its annual SAT-7 Network Conference in Cyprus. 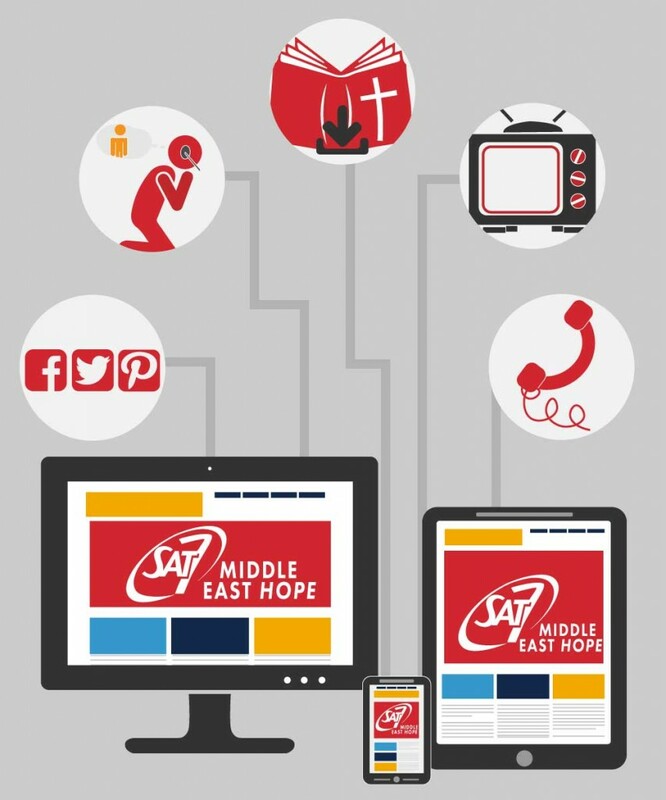 The conference, held March 27-29, is a chance for donors, supporters, and partners to learn more about the Middle East and SAT-7’s work in the Middle East and North Africa. The conference will host 235 people from 25 different nations. At least 75 people are new attendees. This is very exciting because it is tangible evidence of new supporters and people who want to engage with SAT-7. However, the conference also takes time to educate attendees about the Middle East and North Africa. “The people, the cultures are very different from country to country. The crisis and the things they are dealing with are very different, so I think it’s good to get this better picture of what is going on. Where is it that there is a crisis and the war and the troubles and where is actually also the beauty, and what is good about the Middle East,” says Mette Swartz, Communications Director for SAT-7. The conference’s theme—impacting more lives than ever. SAT-7 is diving into what the lives of people in the Middle East and North Africa look like and how SAT-7 is impacting them. Some of the ways SAT-7 conducts this research is through surveys, social media feedback, and audience engagement with SAT-7 through multiple mediums. Swartz says 900 people contact the organization every day through social media, phone calls, and mail. “We want to share a lot of testimonies from people from all over the Middle East. They are showing that a lot of people learn more about Christianity, get to know Christ, get to know Jesus by watching television,” Swartz says. For example, Swartz shares the story of a young woman who lost hope after ISIS invaded her village. The experience severely impacted her. She eventually decided to change her name and in efforts to forget her past. But, the young woman watches SAT-7 and the hope and love of Christ is made available in her life. People frequently call SAT-7 to share their stories. Swartz says she’s amazed by the people who call. While in a way, SAT-7 is just a TV station, Swartz says some people see the organization as a lifeline and call asking for prayers. However, like any non-profit organization, SAT-7 relies on the generosity of others to continue their work of making God’s love visible in the MENA. “I think sometimes we as Christians think that it’s better to go there and have church relationship or we have church planting or other things, and that’s good. We need to do that, plant churches. But, when we do mass media or television through satellite, we really reach people that are behind the closed doors. We reach people that are in remote areas that don’t have access to anything, any churches, or they don’t have access to hear the Gospel, or they don’t know any Christians,” Swartz explains. The Network Conference is an important space to share why SAT-7’s work is crucial while also educating people and providing an opportunity for them to get involved. This year’s conference is also a special one because it will also acknowledge some big changes coming to SAT-7 leadership. 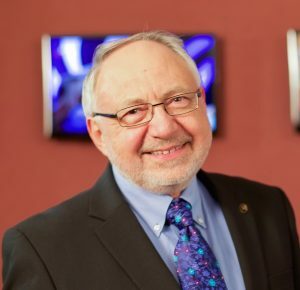 On April 1, Terry Ascott, the Founder and CEO of SAT-7, will step down after 23 years as CEO. CEO Designate and Chief Channels Officer Rita El-Mounayer, who worked as a producer and program host with SAT-7, is his successor. Ascott is not leaving SAT-7, though. Instead, Swartz says Ascott will step into a different position as the Founder and President of SAT-7. Still, the conference is a chance to celebrate and say goodbye to Ascott. “That’s a huge step for us and of course it will change some things [about SAT-7]. And also, because media is going into new areas, of course, satellite television will still be big, but we have to looking into be better at social media and to do more things on social media and reach our viewers that way,” Swartz says. SAT-7 has been in the CEO transition process for the last few years. El-Mounayer has been preparing during this time to transition into the new leadership position. Swartz says El-Mounayer is strong in production, which is SAT-7’s main focus in regards to creating quality programs. “She will definitely make sure that we will still be strong as a television channel, but also take up this new era [in] social media,” Swartz says. But for now, pray for this conference, the security and safety of the event and attendees, and that God would show up. Pray people would fall in love with the MENA region and SAT-7’s work. Pray for SAT-7’s audience and please, pray for SAT-7 during this time of transition. Want to get involved with SAT-7? Consider signing up for the organization’s newsletters, prayer calendars, participating in its Week of Prayer, volunteering, or even by giving. Discover ways to engage with SAT-7 here! Learn more about the CEO transition here. Header photo courtesy of SAT-7 USA.